In the third sermon in the Lenten series, “The Two Ways,” Pastor Paige explores what the Apostle Paul means in 1 Corinthians 1:18-25 when he talks about God’s wisdom and strength as opposed to human wisdom and strength. God’s strength and wisdom is revealed in the cross of Jesus. To the world, having faith in someone who was crucified looks like foolishness. And yet it is the way of salvation and true life. This sermon ends by giving examples to listeners about how to walk the way of the cross in their daily lives, in order to experience that salvation and share God’s love with all. 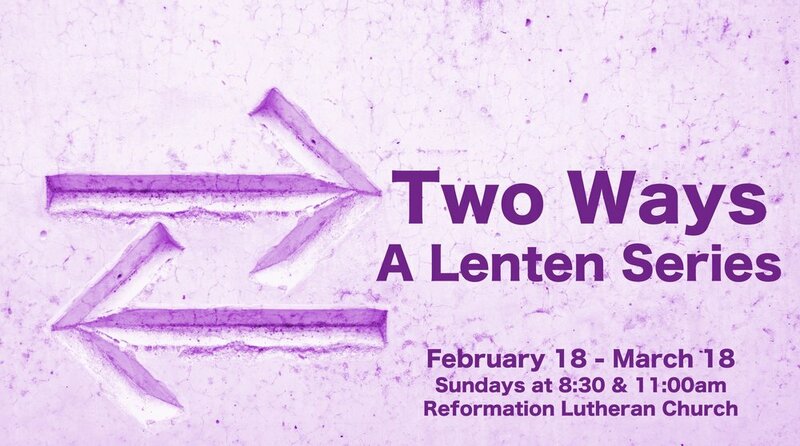 This Lent, we will be using the ancient image of “The Two Ways” to explore our need for spiritual renewal. In this first Sunday in Lent, we will look at what the Christian tradition has seen as the three main sources of temptation to leave the Way of grace: the flesh, the world, and the devil. Chances are, those words don’t necessarily mean what you think they do. And we will look at the story of Jesus’ temptation in Mark 1:9-15 as good news for when we find ourselves either facing temptation, or having fallen prey to it.